Lots of first-time cryptocurrency investors are downloading Coinbase, an easy-to-use app for buying and selling bitcoin. According to one estimate, the app notched 700,000 downloads over a single week in December. That was twice as many downloads as Snapchat or Instagram over the same time period, according to the analysis. The price of bitcoin spiked over the past month, drawing hordes of first-time investors eager to speculate on the cryptocurrency. Lots of them are flocking to Coinbase, an easy-to-use service that lets people exchange dollars for bitcoin. The app quickly shot up to the top free spot on Apple’s App Store charts in the United States, though it settled down to the No. 8 spot on Friday. New analysis from the app-analytics firm Sensor Tower shows just how many people downloaded Coinbase on their iPhones and iPads. Over the week that ended Tuesday, as bitcoin mania was spiking, Coinbase saw 700,000 first-time installs. 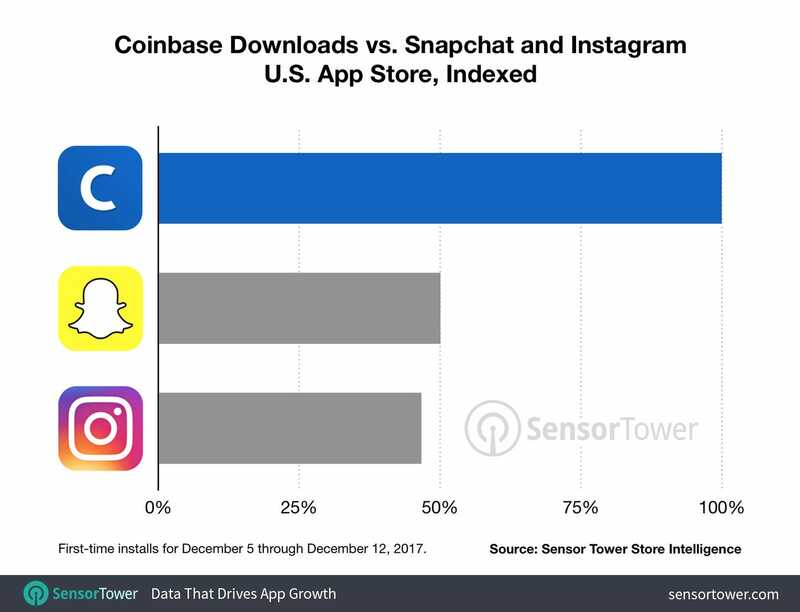 That was twice as many first-time installs as juggernaut apps like Snapchat and Facebook’s Instagram achieved over the same time period, according to Sensor Tower’s data. 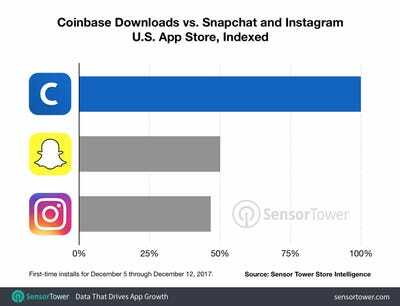 On Friday, a review of the charts showed that Coinbase had slid below Snapchat and Instagram once again. But it’s still a meteoric rise for an app that was ranked in the 300s in the US on the App Store only a month ago. 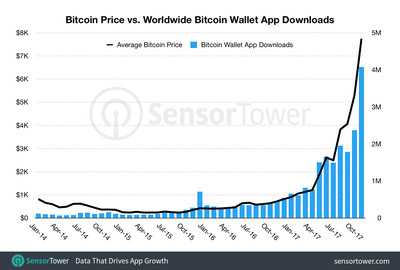 And if bitcoin’s price continues to rise, you can expect people to continue downloading Coinbase and other so-called wallet apps in large numbers.